Iced Green XO Tea is the perfect drink for summer in Australia and it can quickly be dressed up to create an even better and more impressive drink. Many of the best iced tea recipes are also the easiest. 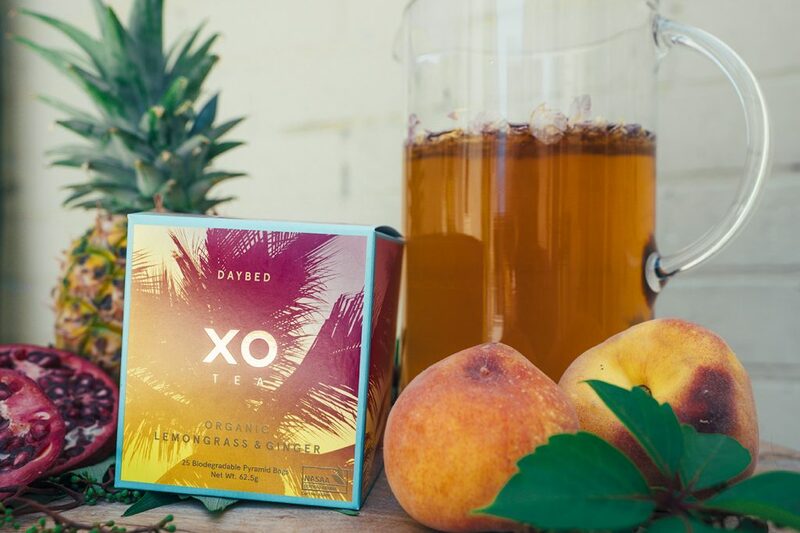 So mix it up and use some of the XO Tea Shaded Green Tea and Daybed Lemongrass and Ginger, plus the creativity we know is inside everyone of you! Whether it’s a sparkling jasmine XO Tea or a spicy lemon-ginger beverage, you will have a lot of fun this Australian summer exploring these tea recipes. Each is cool, refreshing, and perfect for entertaining or enjoying on the patio by yourself. It’s real iced tea made with Shaded Green Tea leaves. But it is also an infusion because there’s more to brewed tea in this drink. This iced lemongrass tea is made by mixing Shaded Green Tea, lemongrass brew, sugar syrup and just enough calamansi juice to cut through the sweetness. It’s a refreshing and delicious drink that’s easy to make. But a few tips can turn the drink from good to great. If using loose XO Green Tea leaves , steep the tea in very hot (80 degrees) water for no more than five minutes. If you want a stronger brew, use more tea leaves but steep for the same length of time rather than steeping a smaller amount for a longer period. Steeping tea in hot water for too long makes the drink bitter; four to five minutes are enough. What about tea in XO Tea Bags? You can use them too. XO Tea’s Amour Jasmine Green Tea will make a very aromatic drink. And, as with loose tea leaves, remember not to steep the tea bags in hot water for too long either. For the Lemongrass and Ginger brew Daybed, use a ratio of one bag per cup of water. Lightly tap the bag to release the essential oils and flavors. Place in a pot, pour in the water, boil for about ten minutes then leave to steep and cool. Brews made with herbal ingredients like lemongrass do benefit from long steeping. For the sugar syrup, simply boil together equal amounts of sugar and water until the sugar is dissolved. If you want a more pronounced lemongrass or ginger flavor in your drink, add a stalk of lemongrass or ginger, lightly pressed, to the water and sugar before boiling. Cool the sugar syrup before using. Pour the cooled green tea and lemongrass and ginger brew into a jug. Stir in enough sugar syrup to sweeten according to your preferred level of sweetness. Stir in calamansi juice, one tablespoonful at a time, and tasting after each addition. Add ice, stir and serve. Tip: To add extra brightness to the flavors of the drink, stir in a tablespoonful of lightly pressed mint leaves to the drink before serving.